Fletcher H. Brown, J.D., received his law degree from Baylor University and is Board Certified in Health Law by the Texas Board of Legal Specialization. He is a partner in the law firm of Waller, Lansden, Dortch & Davis LLP, specializing in health care law. He is licensed in the State of Texas and to practice in the U.S. Fifth Circuit Court of Appeals and the U.S. District Court for the Western District of Texas. Fletcher is a member of the State Bar of Texas, the American Health Lawyers Association, and the Austin Bar Association where he served on the Health Law Board of Directors and was a former president. In 2011, he was Chair of the Health Law Advisory Commission, Texas Board of Legal specialization. Fletcher Brown has also served on the Board of Directors for the Sims Foundation, a non-profit organization dedicated to providing mental health care services to working musicians in Austin. Fletcher has been recognized as a leader in health law for the past several years. Texas Monthly and Law & Politics Magazines have named him a Super Lawyer in the health law field for the past six years. 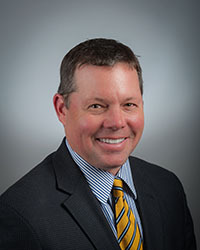 He is widely published in the legal field and has served as the annual and principal speaker for the Northwest Texas Hospital Association, the Texas Organization of Rural and Community Hospitals, and the Texas Healthcare Trustees Spring and Summer Forums.